That’s not just a catchy slogan. We believe in it. We’ve been living it. Over the past few years, we noticed that companies’ interaction with their customers had evolved. However, traditional CRM software hadn’t. So, we brought you Zoho CRM Plus — an end-to-end customer engagement suite. Last month, we unveiled Zoho Workplace — an integrated suite of applications that put your entire office on the cloud. Today, we’re bringing you yet another powerful suite that will break down department silos, streamline your operations, give you visibility into your order and fulfillment process with zero accounting errors, and ensure a hassle-free tax period. We’re happy to announce the launch of Zoho Finance Plus, the most comprehensive suite of cloud-based financial apps for your business. Managing your back office operations is no mean feat. There are quotes to be sent, invoices to be followed up, orders to be processed, delivered, and shipped, and taxes to be filed on time. Back office operations and accounting are probably the most unglamorous parts of your business. You might wish you could get rid of them, but you can’t. Zoho Finance apps have helped countless business owners run their businesses efficiently and freed them from dreary tasks that get in the way of doing the things they love. Starting today, Zoho Finance Plus will offer an end-to-end integrated platform for all your back office operations. Besides the accounting, invoicing, and expense management that any business needs, the suite will also help businesses that manage subscription-driven, recurring revenue streams. It even equips companies to fulfill multi-channel online sales orders with a single inventory model. The suite delivers flexible, scalable and secure applications with the depth and breadth to cover the needs of a growing business — your business. An integrated suite of apps for your back office. Automated quote-to-cash process: Zoho’s Finance Suite is tightly integrated with Zoho CRM, which improves the quote-to-cash process. When sales and finance apps are in sync, you’re much less likely to have missing orders, miscommunications, or delays in processing orders and payments. Greater visibility into orders and payments: With access to accurate and timely information about product availability, order status, and payment details, customer support becomes faster and more effective. Faster reimbursements and accurate accounting: Zoho Expense streamlines and automates expense reporting for employees. Expense approvals can be automated, and approved expenses are recorded in Zoho Books instantly, speeding up the reimbursement process. The subscription model made easy: Whether you’re already a subscription business or considering joining the subscription economy, Zoho Subscriptions will help you streamline your billing process. With its tight integration with Zoho Books, Zoho Subscriptions bridges the gap between traditional accounting and the subscription economy. The Zoho Finance Suite is available for $99 per organization per month, which includes access to Zoho Books or Zoho Invoice, plus Zoho Expense, Zoho Subscriptions, and Zoho Inventory. If you have previously subscribed to multiple Zoho Finance apps, you can now purchase a single license for Zoho Finance Suite instead. Once the suite is set up and user roles are configured, admins can add new users across all of the applications from a single console, vastly simplifying the process of granting new employees access to multiple apps. So are you ready to run your entire back office from a single platform? 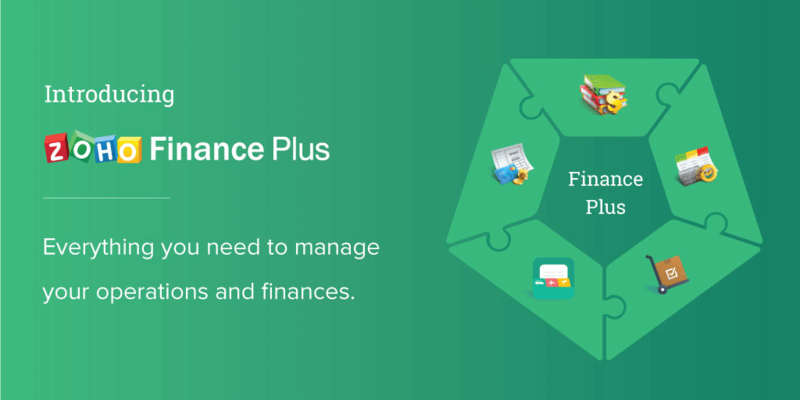 Take Zoho Finance Plus for a spin and let us know how it works for you. If you have any questions, just leave a comment below, or write to us at support@zohofinanceplus.com. We can’t wait to hear from you. How is it different from Zoho Books. I use Zoho Books. Please tell me if I need to migrate or something else? Zoho Finance Plus is a suite of apps that includes four apps – Zoho Inventory, Expense, Subscriptions, Books (or, Invoice). If you’re using two or more of these applications, you can choose to subscribe to Zoho Finance Plus. There is a single pricing($99/mo), and you will get access to a single console from which you can manage users across apps. Email us at support@zohofinanceplus.com if you have more questions. I love all the work you are doing and think you have a very bright future. Are you working on a work orders/scheduling/dispatch module for field services businesses? I have no doubt that this new all-in-one product suite will be great however for small businesses like mine Eutopian Trader, LLC. It would be nice to have “custom” solutions. Right now we are only using Invoice, but it would be nice to add web services, inventory, and expenses, or something along that line where we could put together just the solutions that a business needs rather than having a one size fits all approach. We are no where near ready to go to a $99 per month th solution especially when some of the solutions are not needed for my business. Just something to think about. As you know, my company would not be where we are today with out the service that I use and they have been essential to our growth as our customers love the security of the Portal and the invoices. We will likely never leave Zoho.com even though our Secondary Merchant Services Company offers the same solutions with regards to invoicing etc.. I would also like to see you add Intuit to you available Merchant Accounts. (that would make our lives easier Anyway lol). That being said keep up the great work and please keep my suggestions in mind. For Small Businesses keeping operation costs down and having the ability to select just the services / solutions needed as a Custom Suite would be ideal. Thank you as always! John Eutopian Trader, LLC. This is so great! Thnx for the update. I have quite a few Australian clients who will welcome this. Guys you are doing a good job. But when are you launching Payroll? That is something most of the people are complaining about Zoho. Thanks for your kind words, Bhargav. We understand how important payroll is and agree that it would make the finance suite truly complete. We are working on a payroll solution for California right now. I’ll keep you posted if I have any updates. Books and CRM are not tightly integrated; the address structures are different. Be very careful trying to integrate these products as you’ll end up in an incredible mess, like us. And Zoho are not very good at managing our 7 month-long complaint about this. I’m really sorry to hear that you were facing issues with the CRM integration. We agree that there are a few things that could be made better. We’re working hard to improve this integration and make it better for you. Someone from our team will get in touch with you and we’ll quickly sort out your issue. You are so correct, and you have every right to make that fact known to other users or potential users. 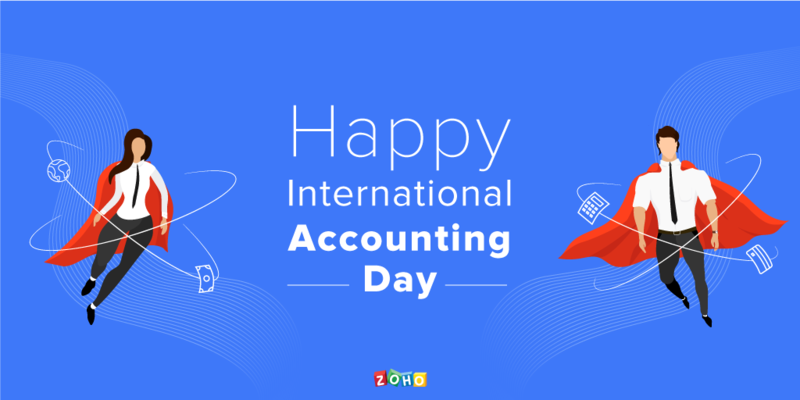 I too have been waiting a very long time for Zoho to complete Zoho Books, which I use in my accounting practice. It has some glaring deficiencies that I have pointed out to Zoho support time and again for more than a year! Earlier this calendar quarter I was promised in writing by Zoho support that Zoho developers will modify Zoho Books to allow compound entries (multiple debits and credits) to be entered and posted in the banking module by the close of the current quarter. But a recent email update I received suggested that they might be backing away from their promise to deliver. I could go on with the other shortcomings of Zoho Books but what would be the point? All they do is collect your money, make promises, and have a company cheerleader moderate the forum to marginalize any complaints, just like Reshma Roy did to you. I will share this, though, since it reflects more on the company as a whole: Earlier this year, on 01/09/2017, I signed up for the Zoho Books Advisor Program and received a date and time for the required webinar to take place. It was said to be part of the advisor registration process and it was scheduled for 02/10/2017, a full month later. When the date was near I cleared my schedule in preparation for the webinar and registration process. One hour before the scheduled webinar was to begin, I received an email message from Talha Baqar informing me that she could not keep the appointment I had waited a month for. She claimed the untimely cancellation was due to bad weather in her area of Northern California. In part, her message stated, “Unfortunately, due to the weather and road circumstances in Northern California (Santa Cruz), I will not be able to take your call at 3 PM, until later this evening.” Being understandably annoyed, I went to a weather website and looked for the weather conditions in Santa Cruz and, to my further annoyance and frustration, I read that the then-current weather was sunny, not inclement as she had implied. So I replied to her email with one that said I was disappointed and provided the weather website link so she could see what I had just seen. I also asked her to reschedule me at the earliest opportunity. Today is 03/15/2017 and I still have not heard back from Talha Baqar or anyone else from Zoho Corp regarding my registration or participation in the advisor program. My conclusion is that Zoho Corp really only cares about my money and not me personally, my time, or what I think their software should do. And if the written promise is not kept by the end of this quarter (03/31/2017) then I am creating a web site to review online financial software and service providers and starting off by lambasting Zoho Corp and sharing my own personal experiences with their software. While I can not comment on your situation, or anyone else’s issues as it is not my place, I would like to share my experience with Zoho, and they are a complete 180 from you guys. I can not speak for Zoho in anyway, but will say that I am sorry to hear that you guys have gone through the issues that you have. I have been a customer of Zoho inc. for a year now, and while I only use a couple of their solutions, I have had nothing but a wonderful experience. I have encountered a couple bugs, here and there as well as requested a couple feature requests, and in all cases, the issues were dealt with in the utmost professional and timely manner and in cases where possible, issues have been fixed while online with the support rep via Chat. I own a small company and do not have a lot of money for operating expenses and Zoho has worked with me in every way possible to insure that I was able to get the solutions that I needed putting my companies needs before their profit. What I am trying to say is that in my experience Zoho has never looked at my and my company as a $ sign but rather have worked with me expeditiously and insured that my concerns were addressed promptly and professionally. Again, this is my experience, so while one should look at any company or product that they invest in with a buyer beware lens, I have never felt that Zoho has taken advantage of me, or been anything but one of the most professional, personal, and valuable companies that I have ever dealt with. Zoho inc. even went as far as rectifying a situation with one of their payment processors who claimed that I had violated their TOS when in fact I had not, but that vendor suspended my account for the perceived violation. I attempted to contact that vendor and was stonewalled by them and basically told to hit the road. I contacted Zoho and they went to the vendor in my defense and rectified the situation not only getting my account reinstated, but due to their persistence in getting the issue resolved, the vendor changed their TOS to insure that I would never run into this issue again. I was contacted by Zoho once the issue was resolved and notified of the resolution and I was told by a Zoho Rep. (and I quote) “You are our customer first, and we wanted to insure that this issue did not affect your business or your customers!” That has shown me that they do put the customer first. While no company is free from mistakes or unhappy customers, I do not think that the issues that you guys faces is a systemic problem. I also in no way am trying to minimize the issues you have encountered. Again, I am sorry for what you guys have gone through, but I felt the need to show that this, in my opinion, can only be very isolated issues, and I do hope that they provide you the same amazing and professional resolutions as I had experienced. I wish you nothing but the best of luck in the resolutions of your issues. Thank you for sharing your experience. It is always nice to hear of someone else’s good fortune and success. I wish you continued success in all your future endeavors. My apologies for the delay in contacting you regarding the Zoho Advisor Program. I am at fault for not messaging you sooner after the sudden cancellation of your meeting, but would like to clarify the reason for the initial cancellation. On Friday February 10, the single highway that gets me to work at Zoho from Santa Cruz, California was shut down. It was a sunny day, following a month of over 13 inches of rainfall, and a week that received over 3 inches, leading to treacherous mudslides that were occurring well after the rainy days of the week. Of course, it is not your issue to deal with such problems. And were I in your shoes I would certainly feel as you do. My reaction to your final comment is regarding Zoho’s commitment to our values and our customers. Zoho has always strived to be different, not just in how we craft software, but how we act with our customers and partners. In this instance, I failed to properly follow up with you following an unordinary circumstance and I express my deepest apologies for that. However, I do feel that Zoho customers that have seen Zoho grow and continue to expand rapidly, see the commitment we have to righting our wrongs, and learning from our mistakes. That’s why I ask that we can host another meeting at your earliest convenience, hear your concerns, present you with our product, and enable for your account the largest benefit of being a Zoho Finance advisor, complimentary access to all of Zoho. Every program and every edition are made available to our advisors who continue to utilize our platform and have customers active throughout the year. I look forward to the opportunity to speak with you again. When will the EU version be available? We are working on the EU version of our apps, the early access of which will be available soon. Email us at support@zohofinanceplus.com for more information. Thanks Vidhan. We hope your experience with Zoho Finance Plus will be nothing short of excellent. Should add-in reports to close the loop. That sounds like an excellent idea. But, we’re of the opinion that Reports is (ideally) not a finance app and hence doesn’t find itself in the Finance suite. Having said that, Zoho Books is integrated with Zoho Reports, and we’ll be integrating the other apps as well, in due course. Email us at support@zohofinanceplus.com if you have any questions.